Emmeline B. Wells was the most noted Utah Mormon woman of her time. Lauded nationally for her energetic support of the women’s rights movement of the nineteenth century, she was a self-made woman who channeled her lifelong sense of destiny into ambitious altruism. Her public acclaim and activism belied the introspective, self-appraising, and emotional persona she expressed in the pages of her forty-seven extant diaries. Yet she wrote, “I have risen triumphant,” after reconciling herself to the heartaches of plural marriage, and she pursued a self-directed life in earnest. This new biography tells the story of the private Emmeline. The unusual circumstances of her marriages, the complicated lives of her five daughters, losses and disappointments interspersed with bright moments and achievements, all engendered the idea that her life was a romance, with all the mysterious, tragic, and sentimental elements of that genre. Her responses to that perception made it so. This volume, drawing heavily on Emmeline Wells’s own words, tells the complicated story of a woman of ambition, strength, tenderness, and faith. Winner of the Mormon History Association's Best Biography Award. Carol Cornwall Madsen is professor emeritus of history at Brigham Young University, a past president of the Mormon History Association, and former vice-chair of the Board of Utah State History. She is an award-winning author and her books include In Their Own Words: Women and the Story of Nauvoo and A Woman’s Advocate, The Public Life of Emmeline B. Wells, 1870–1920, which won three best book awards. 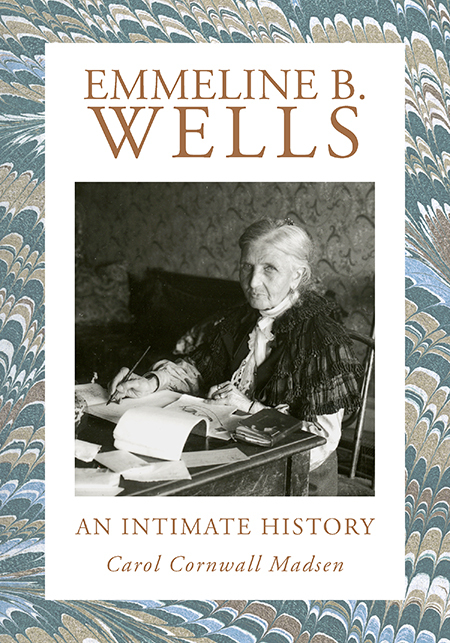 "A thorough and engaging biography of Emmeline Wells’s private life. Massive amounts of careful research create a three-dimensional picture of Mormon society from Nauvoo to Salt Lake City as Emmeline moved through it, as well as the late 19th- and early 20th-century American suffrage and national political circles she became part of. The biography is as readable as a good novel and even more engaging because the story it tells is of a real woman whose extraordinary achievements were made despite personal tragedies that would have defeated someone less hopeful and resilient."